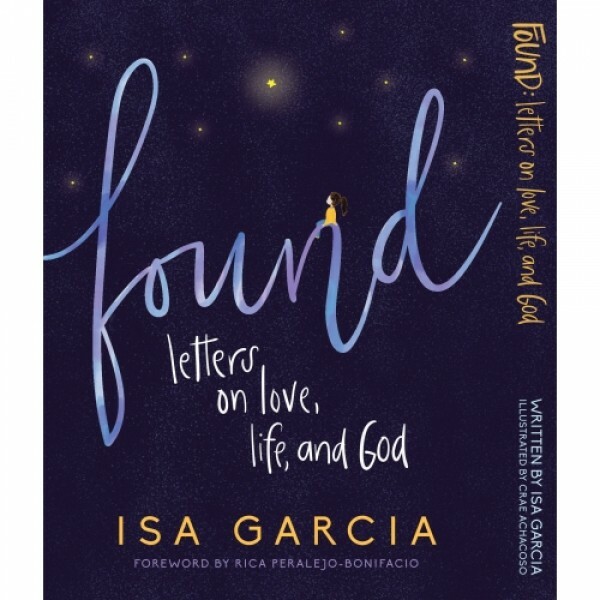 Isa Garcia believes that everybody deserves love letters. She wrote these letters in Found for you: the girl who has been feeling a bit lost; the girl who likes to run from pain; the girl who is ready to go; the girl who is a lot of things at one time or another. Isa knows that there are days when you would need to be reminded that you matter, you are not alone, and the world is a far better place with you in it. In this book, may you find a friend who takes you as you are, a safe space for your secret hopes and fears, and the assurance that no matter where you are in your life right now, you will always be found.